There always seems to be a steady stream of Star Wars merchandise hitting stores, but with a new film on the horizon in 2015, the Disney marketing machine is quickly ramping up to overdrive. 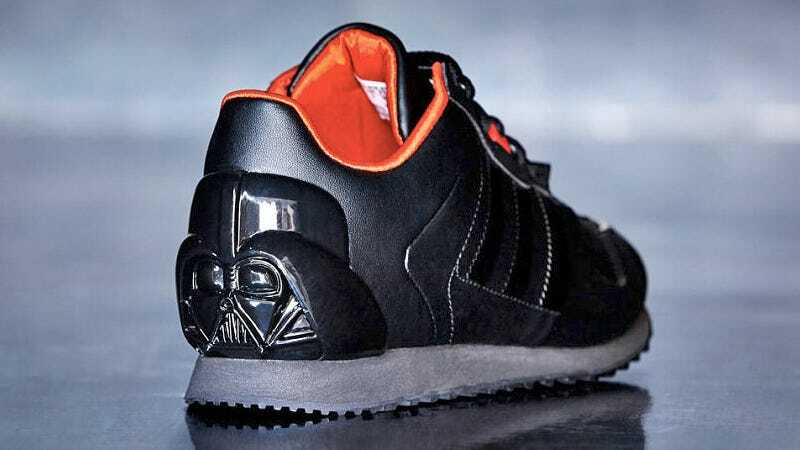 Even Adidas wants in on the action with its upcoming Star Wars Originals collection that includes these wonderful Vader kicks. If only they weren't sized for kids.